Pakistan Atomic Energy Commission (PAEC) is a well developed, highly paid and most efficient Federal government organization. It is one of the top scientific research centers in Pakistan different areas of nuclear technology. It has various projects currently running across the country. PAEC has its main headquarter in Islamabad. Besides providing the different power facilities in country PAEC It also works to provide suitable job opportunities to qualified candidates. Most times its job advertisement publishes as different PO Box advertisement. It’s mostly jobs requirements are trained and experienced staff. 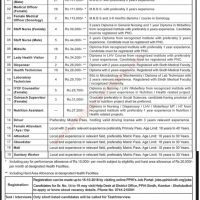 Most of the Jobs are related to technicians, medical staff, junior assistant, data entry operator, driver, and other vacancies under special pay packages. Here you would be able to know eligibility criteria, download the application form, how to apply vacancies posts list and last date etc. 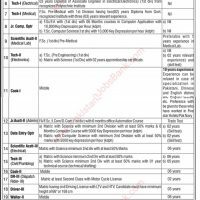 All Pakistan Atomic Energy Commission Islamabad PAEC jobs 2018 latest advertisement is available at its official websites. All essential details are given below. 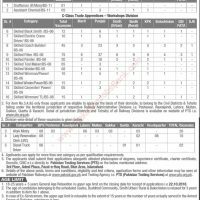 Appropriate candidates of GILGIT are free to apply for the post which is given in the classified ad. Concerned candidates should submit their application form. The application form will be available on the official website. When you download application form fill it carefully, then attached the qualification certificates, attested photocopies of documents, experience certificates, domicile, Identity card, and two passport size pictures with the applications the Last date of submission form is within 15 days of the published advertisement. The unfinished form will not be disclosed. Government servant can also apply by providing NOC through proper channels. Original documents will be accepted at the interview time. You should have the 1st division in the last degree and 2nd in the entire academic career. Candidate’s age should be maximum 35 years. Candidates who apply for the post related to serial no 08 t0 19 will be selected on agreement base. Candidates who apply for any post must mention it clearly with the serial number on the envelope. Endearing candidates will be invited for test or interview. It is an excellent opportunity for all the candidates who are looking for a respectable source of earning. Apply before the closing date and grab this awesome chance. Nice work to give your precious time to keep inform to others. Name Muhammad Asim son/of Ghulam saeed I am DAE Mechanical Engineer. And 1,year Experience in kohat cement factory kohat. In 2 years safety Experience.